What if Mikaela Shiffrin never learned to fall? I hold my breath while she hurls herself out of the starting gate, dropping precariously into wind gusts, facing 50 technical turns ahead on a 1,000-foot vertical drop. She makes it look effortless. We know it’s not. I love watching the Olympic Games, but I love to ski even more. So, I know from experience that these athletes approach perfection – and a spot on the podium – only after years of courageous risk. 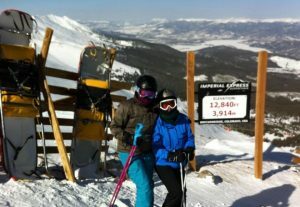 On a trip to Breckenridge, my daughter Sarah and I boarded the highest ski lift in North America and then climbed to the knob of Peak 8. We gazed, enraptured, at the view from 13,000 feet on that perfect ski day – crisp, blue skies, a coating of soft, powdery fluff, and the companionship of mother and daughter. Sarah is a determined and focused skier who wanted this experience with her mom – one I wouldn’t have tackled without her enthusiastic urging. What a foolish endeavor to tackle that peak if I were not an experienced skier. My path from a child snow-plowing down the green slope to a brave adult perched on the cornice of 13,000 feet was littered with “yard sale” falls and minor injuries. 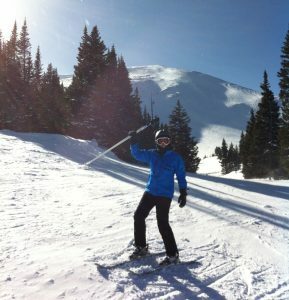 Only through many failures and falls had I grown into a mature skier who could tackle the challenge of Peak 8. While we intuitively acknowledge the long learning process of becoming a black-diamond skier, we’re less likely to accept a growth mindset in our relationship with God. Relationships, like skiing, are risky and often look more like flailing poles and crossed skis rather than the refined tuck of an expert. But for us, discouragement sets in if our daily life doesn’t flawlessly reflect the one Jesus lived. We envision a God who demands perfection from us and condemns us for our failures. The truth is just the opposite. We have a God who knows we will fail. He delights to accept and love us as we are. Because he risked everything for us, we are free from the slavery of perfection and performance. The more we embrace these truths, the more welcoming we will be of the messiness that leads to growth. Over the years, if my goal had been perfection as a skier, wipe outs would equal failure and caution would stunt progress. But if growth is the goal, risk and falls morph into opportunities. When Sarah led me to the top of Peak 8, I was afraid. Facing the steep plunge off that cornice, I knew I risked a fall. But I embraced the challenge as an opportunity for growth, not only as a skier, but also in relationship with my daughter. If I had shrunk in caution from this experience that was important to Sarah, I would have missed out on deeper intimacy with her, and what is now a highlight of our relationship. I invite you to join me in taking the leap off that mountain with the Lord. Risk a fall. He has already caught you. How can you be more welcoming of the messiness and risk that leads to growth in your relationship with the Lord? NOTE: For those unfamiliar with the slopes, Yard Sale is when a skier or snowboarder falls hard on the slopes and loses all of his or her gear. Shauna Schneider is a surrendered follower of Jesus with an enthusiastic and encouraging nature who yearns to learn and demonstrates wisdom in discernment of Gospel truth. Always aware of the Lord’s leading and the many ways we can hear God’s voice, Shauna’s enthusiasm for her faith and gift for hospitality spill over into a wide network of friends and community connections she loves to serve. 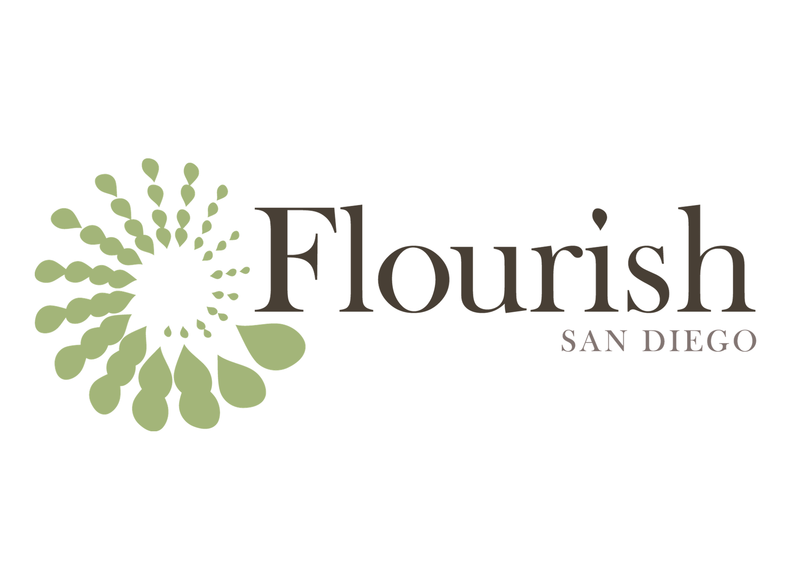 Wife to Phil, mother of three adult children, and retired physician, Shauna is cofounder, board member, and ministry director for Flourish San Diego.